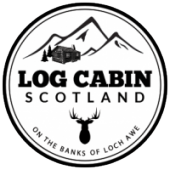 Log Cabin Scotland offer luxury log cabins to relax in and enjoy. The log cabins are located in the beautiful Loch Awe Forest Park on the shores of Loch Awe. The area is renowned for its beauty, wildlife, cycle routes, forestry, fishing, waterfalls and beautiful walks.